When your hair has the right balance of moisture the rest just falls into place - manageability, shine, softness - no matter how dry, dull or brittle the hair. 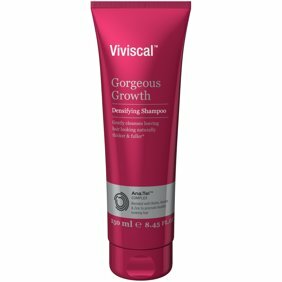 So, fix it in an instant with help from this sulfate-free, color-safe shampoo that cleanses and restores your natural moisture without adding weight to your hair. Aloe Leaf Juice hydrates your hair so it's softer and more manageable, while Sweet Clover and Rose Extract give hair oodles of healthy shine. Keep out of eyes. Not intended for internal use. Ingredients: Water (Aqua), Disodium Laureth Sulfosuccinate, Cocamidopropyl Betaine, PEG-2 Cocamide, Fragrance (Parfum), Aloe Barbadensis Leaf Juice, Calendula Officinalis Flower Extract, Citric Acid, Glycerin, Hydrolyzed Soy Protein, Lavandula Angustifolia (Lavender) Flower Extract, Melitotus Officinalis Extract, PEG-150 Distearate, PEG-200 Hydrogenated Glyceryl Palmate, PEG-7 Glyceryl Cocoate, Polyquaternium-10, Polyquaternium-7, Potassium Cocoate, Rosa Canina Flower Extract, Rosmarinus Officinalis (Rosemary) Leaf Extract, Salvia Officinalis (Sage) Leaf Extract, Urtica Dioica (Nettle) Leaf Extract, Caprylyl Glycol, Hexylene Glycol, Phenoxyethanol, Potassium Sorbate, Caramel. Instructions: Completely wet your hair so the shampoo can work in easily. Apply the shampoo and take a moment to gently massage into your hair and scalp. Rinse well with warm water until all suds are gone. As my daughter gets older, her hair has changed. I was not able for a while to find anything that her hair liked until I decided to give this hair care line a try. Now it is all I use on her hair. Her hair is fine but super thick and very curly. It worked so well on her that I started using it on my other daughter as well (who is older). this is my favorite shampoo other than Oribe & obviously much more affordable. my only issue is that the pump dispenser is not my fave. but it does not stop this from being one of my top fave shampoos & the accompanying conditioner / mask is amazing too ! I wasn't sure about this shampoo when I first got it. I bought it to test out the Black Vanilla line. It behaved differently than previous shampoos, was very thick. I rapidly discovered that it cleans very well with no stripping and leaves my hair upon rinsing much less tangly. It is very concentrated so add plenty of water for great suds. Of course it smells great!